It has been said that it is only a matter of time before blockchain, the proprietary technology that supports cryptocurrencies such as Bitcoin, will begin to infiltrate industries all around the world. And, believe it or not, even historically traditional industries are not immune to the disruption - commercial real estate included. But let's back up for a moment. What, exactly, is blockchain? In its most simple form, blockchain can be thought of as a distributed database. By recording transactions and combining them into a secure ledger system, a sort of "chain" of chronological data is then created and that no single party has control over. What's the value in that? Simple - the value is in this system's ability to effortlessly authenticate and track transaction in real time, without the need for use of an outside third party, like a bank. 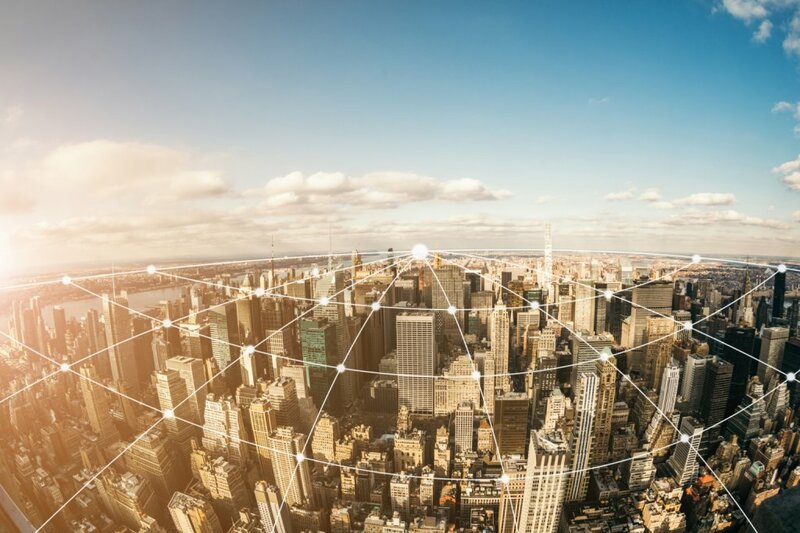 Let's take a closer look at some of the ways blockchain is impacting the commercial real estate industry. "Technology as a whole continues to change the way that we work - in real estate, as well as other industries," says Brandon Sudweeks of Coldwell Banker Commercial SC in Temecula, CA. "Both the speed and transparency of our real estate transactions have improved thanks to technology, and blockchain is just a small part of that." Another way that blockchain technology is impacting CRE is its innovative use in recording land titles. With most of this information kept offline, this area has always been notoriously challenging to access. But blockchain stands to change this drastically, cutting the historically lengthy process of recording and/or transferring titles - with the additional benefit of increased transparency. It would be an understatement to say that we have just begun to scratch the surface of blockchain technology and all that it has to offer commercial real estate, among other industries. When expanded to other applications and uses, the sky's the limit for what blockchain can do. Of course, as with any emerging technology, blockchain has its critics, with questions and concerns being raised over the technology's reliability and security. However, with continued and more widespread use, these issues are expected to resolve, and the technology will help lead the way in streamlining the traditionally cumbersome commercial real estate industry.